These three books wonderfully researched historical novels share a common thread. They all tell stories about women bonding together on the front lines during war time, forming a sisterhood and makeshift family far away from home, and making lifelong friendships that will stay with them forever. I picked up Girls on the Line for so many reasons—the title is a clever pun (can’t pass that up! ), the cover is gorgeous and the story is about a topic I knew nothing about. The story is about the “Hello girls,” a group of female telephone operators who served in the army in Europe during World War I, helping to make sure battle plans could be communicated across the continent. Runyan has clearly done an enormous amount of research to make sure the novel stays true to their incredible story of courage and patriotism. A perfect combination of entertaining story and education, Girls on the Line truly delivers in so many wonderful ways. The story centers on Ruby Wagner, a society girl from Main Line Philadelphia who is engaged to a Nathaniel, a man of similar standing. When her brother is killed in one of the early battles of the war, Ruby is devastated.. She feels useless sitting at home while the war rages on in Europe, and when she discovers the signal corps where she can put her knowledge of both switchboards and French to good use, she knows she must go. On the front, she forms fast friendships with many of her co-workers, forming a makeshift family within the hostile environment of war. A medic named Andrew also becomes a part of their group, but as Ruby and Andrew grow closer, Ruby starts to question where the relationship is headed and what that means for her future marriage to Nathaniel. She soon comes to understand that with everything she’s witnessed and withstood, nothing will ever be the same again. I loved everything about this book. The story is engaging, the characters interesting and real, and the ending satisfying. I rooted for Ruby every step of the way and am now a dedicated fan of Aimie K. Runyan. 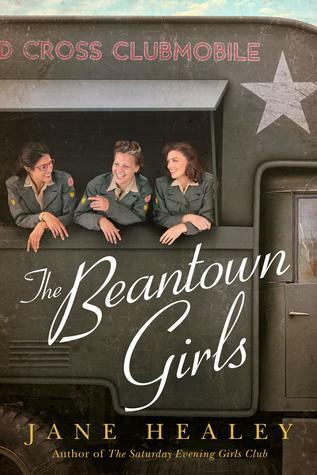 In similar fashion, The Beantown Girls by Jane Healey also centers on sisterhood of women, this time on the front lines of World War II. When Fiona’s fiancé is shot down over Germany and deemed missing in action, she feels like she has to do something to help the war effort. She learns of the Red Cross club mobile girls, women trained to improve the morale on the battlefield by providing coffee, doughnuts and camaraderie. She convinces her two best friends, Viv and Dottie, to come along with her, the three friends ship off to Europe for an experience that will forever change the course of their lives. I‘ve read numerous novels set during the second world war, and yet I’d never heard of the club mobile girls. I love that Healey discovered this forgotten sisterhood and used her imagination to bring their stories to life. The book is meticulously researched and I loved the author’s notes at the end about which scenes were based on fact and which were embellished for dramatic effect. I fell in love with all three main characters who are each interesting and quirky. Though the three women are assigned to travel together on the same van, each has her own story complete with challenges, heartaches and even love stories. Even the secondary characters are expertly differentiated from one another, a difficult and commendable feat. The book is not without its sad moments—it does take place in war zone after all. However, Healey does a beautiful job closing the story with a sense of hope. Despite the horrors and atrocities of war, the world can still be repaired and rebuilt. I’ve read a lot of World War II historical fiction, so I thought I’d seen it all. In The Lieutenant’s Nurse, Ackerman explores a different aspect of the war. The story takes place in Honolulu during and after the surprise attack on Pearl Harbor by the Japanese in December 1941. Of course I learned about the attack in school, but really enjoyed delving deeper into the details of this day and its aftermath in this evocative story. The main character is Eva Cassidy, a nurse from Michigan who sets off on a ship to Hawaii to help the war effort. We soon learn she is escaping a past full of secrets — uncovering those secrets and how they will affect her future helps propel the story forward. When Eva meets Lieutenant Clark Spencer on the ship, they both feel an instant connection that only deepens when they cross paths again on the island. Once Eva reaches her post, she meets the other nurses at the hospital, forming lasting bonds while they work together to care for the soldiers gravely injured in the bombings. Ackerman does a wonderful job highlighting the lushness of Hawaii and how it contrasts with the gruesome horrors of war. A beautifully written historical romance, this book also has a touch of mystery and a bit of military intrigue. Fans of World War II fiction will devour this one. And isn’t that cover gorgeous?? ?